I’ve got several hundred ISO files that I want to convert to MP4 so I can play them on my xBox and Google Nexus 7. How can i do it? I purchased Pavtube DVD Ripper to convert ISO images of DVDs to a format I can play on my Goolge Nexus 7 Android 4.1 tablet. I’m not savvy enough to know which is the most suitable format to Google Nexus 7, and what should i do to get it? Meanwhile, i hope all the screen works for movies, i really hate the black bars. Can you offter a suggestion as to which output format to use to get these results? Is there a media player app for Android that will play .ISO files? Here is a question asked by a friend. He want to play ISO files on his Nook color and Google Nexus 7, obviously, he encountered some problems. First of all, we should figure out what are ISO files. To be honest, i don’t know a lot about ISO files, i just have such experience, when backing up DVD disc movies on the computer, there will appear a ISO file, which is also called ISO image. It contains the full information of the disc. And few players can play it well. 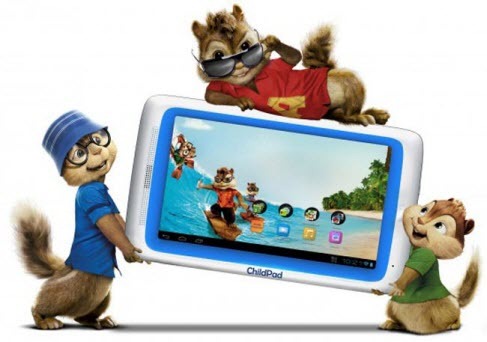 In a press release of Archos Child Pad, Archos founder and CEO Henri Crohas said, “We expect this tablet to bring a smile to the faces of kids and parents everywhere.” It comes with a 7 inch touchscreen display, plus Android 4.0 Ice Cream Sandwich, powered by a 1GHz processor and 1GB of RAM. Also comes pre-loaded with a slew of things kids would want, like puzzles, games, even Angry Birds. They’re colorful, active, and entertaining — exactly what a kid likes. It’s really an amazing toy for children, especially during the summer holiday. There is an effective way to keep children be quiet. You may have found that when your kid watching movies on his child Pad, he is preoccupied and won’t bother you. Meanwhile, compared to playing games, watching movies less damage to the eyes. If you like me have lots of DVD collections, why not stream DVD movies to Child Pad for the children, which is a good way to make full use of the discs. If you just plan to do so and haven’t find an available way to make it. The following article is just what you want. Google Nexus 7 is the most powerful 7.0 inch tablet. Which equipped with android 4.1 Jelly Bean Operating System. Meanwhile, it use Tegra3 quad-core processor, the resolution of its display have up to 1280*800, which is often used by 10.1 inch tablets. In addition, it costs $ 199, which is the same that Amazon and Barnes & Noble charge for their tablets. As you see, its display is great for us enjoying movies. Maybe you just plan to load your DVD moives into Nexus 7 for watching, the problem is, how to realize it? Tablets unlike computers, have DVD drive and with built in players, it’s able to read and play DVD movies. They don’t have these features. 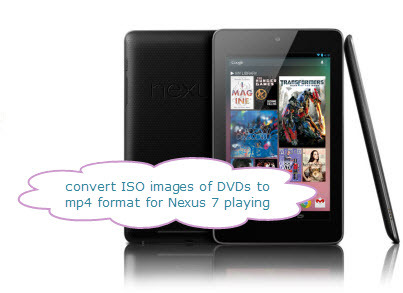 So, you need a DVD to Nexus 7 converter to rip and convert DVD movies for Nexus 7. Android tablet and Apple iPad is the main parts of tablets market. Though there are also other tablets with their own operating system. Such as Hp touchpad, BlackBerry Playbook. But, all of them get poor sales, except they engaged in a number of promotional activities. In March this year, Apple announced its new iPad, it equipped with retina display in resolution of 2048*1536. The new iPad opened the era of high definition tablets. Following the new iPad, a series of android 4.0 tablets are listed. Of course, the display have been improved to a large extent. Like Acer Iconia Tab A700, Asus Transformer Pad Infinity TF700, Samsung Galaxy Tab 2 10.1 etc. The tablets are designed more and more better for us to enjoy movies. Today i will introduce a wondeful DVD to Android converter for Mac users to easily load their DVD movies onto android tablets or smartphones for playing with few clicks.